If you’re 40 plus and been laid off you’ll be wondering what to do next. Having been in that particularly rusty boat I can relate. So can friends of mine – a couple – who, like me had the corporate rug pulled out from under them in their mid forties. We know each other through an organisation that helped us and many others reinvent ourselves in the digital world. My friends in fact have turned their story into an Amazon bestseller. In a recent email they listed some facts that are worth looking at. If you’ve been made redundant in your 40’s or 50’s you’ll be familiar with the despondency and emotions that follow: self-pity, inadequacy, anger, hopelessness and above all fear for the future. Because let’s face it, job security is a thing of the past and for us Baby Boomers, the chances of replacing a well paid career at our age are slim. Some disturbing stats: Nearly 70% of heart attacks in this age group happen after job loss (from an American study of 13,000 people conducted between 1992 and 2010) A Swedish study has shown that suicide rates for people laid off doubled within 4 years of losing their job. Lay-offs have far reaching consequences. But as we have found, in this day and age, they can actually be a launch pad to something much better. If you are 40 plus and been laid off don’t forget that we are no longer in the industrial age. This is the digital age and opportunities to do things differently are abundant. If you are 40 plus and been laid off you are actually well placed to take advantage of this. Chances are you’ll have built something of a financial buffer – a rainy day fund. Your thoughts may turn to self-employment or a to starting business. Again, though, like traditional employment, traditional businesses are also suffering at the hands of progress. They are expensive to set up, under constant threat from online shopping, automation and A.I. and have a high failure rate. Much better as my friends and I have found, to go with the flow. Leverage automation and progress by starting an Internet based business. Starting an online business, even if you have no previous experience, and no products to sell is much easier than you probably think. Well-established business models like affiliate marketing and e-commerce are cheaper to start and infinitely scaleable. Anyone can leverage these models and build a fulfilling lifestyle business. You can start with little more than a laptop and an Internet connection. Of course there are learning curves. If you’ve come from decades of employment, becoming an Internet entrepreneur is like entering a whole new world. There are however education and business organisations out there that make the transition a whole lot easier and faster. The best in our opinion is Six Figure Mentors (SFM). You can learn all about them by following the link below and registering for a very special free webcast. 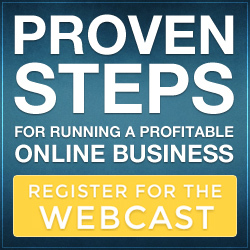 In the webcast which you can watch at a time of your choice, SFM founder Stuart Ross explains how to make your first 10K Online.